Developer Glen Egan, president of Sanzaru Games, talks multiplayer, mini-games and the longevity of Sly Cooper in this exclusive interview. 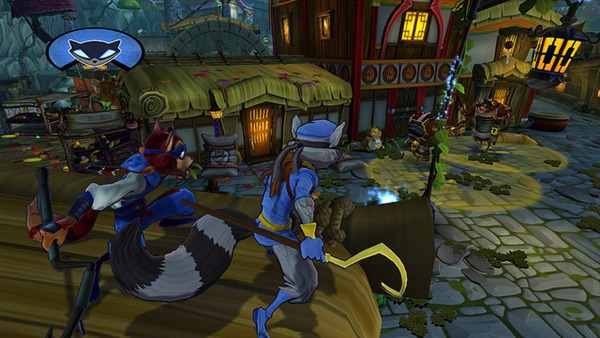 Sony has sold millions of copies of Sly Cooper games over the years. Now the cel-shaded fox, and his furry friends, are back. This time around, there’s a new developer, Sanzaru Games, and a new time-traveling plot that’s sure to satisfy fans of the platform game. Glen Egan, president of Sanzaru Games, talks multiplayer, mini-games and the longevity of Sly Cooper in this exclusive interview. What do you think it is about the Sly Cooper franchise that has allowed it to continue for so many years? Sly, as a character, really strikes a note with people. People just love his loveable scoundrel kind of demeanor. They love the story. They’re very engaged. We get asked a lot what’s going to happen, where’s it going, and I think that that thread is really solidified with that following. They’re also just a great pick-up-and-play game experience. People just like to get the controller in their hands. It’s fun to be Sly. It’s not complicated and challenging. ou’re just comfortable with it right away, so that also helps when it comes to their success. When it comes to multiplayer, what’s in store for games in Thieves in Time? There are aspects of the game that you can play with other people. We’ve shown off some of the mini-games, the Bentley hacking games that you can play. We have on-the-couch multiplayer experiences there and now we’re looking at bringing the Vita into that. We have Vita Cross Play functionality using the augmented reality features of the Vita. Now you and a friend can use your Vita as an assistant to help you find hidden collectibles and treasures. How much is hidden in the game? There are just boatloads of these scenes throughout the game. There are hundreds and hundreds of them and they’re all hidden in little corners here and there. If you really go in for that platinum trophy and you want to get absolutely everything, you’re probably going to need your assistant’s help. He can take the Vita and point it at the television and essentially use it as a set of x-ray goggles that will look into the scene that you’re playing and highlight where the hidden treasures are -- even through walls and buildings and stuff like that.